The 2017 4A-3 champion The First Academy Royals. 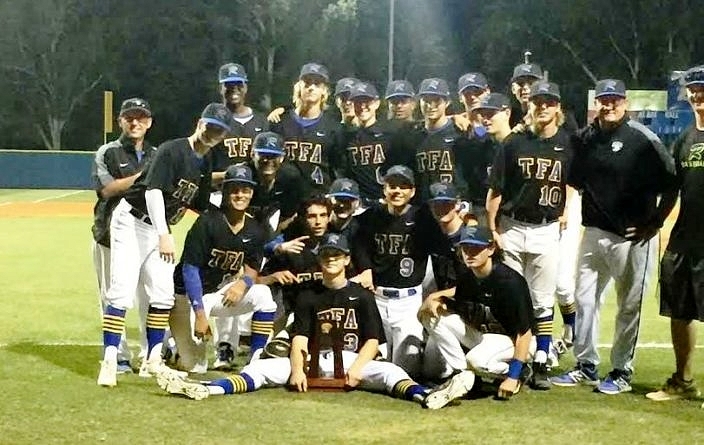 The First Academy Royals won their first district championship in four years with a 9-2 victory over Trinity Prep on Thursday night. The Royals (23-3) now set their sights on the regional playoffs, where they hope to win their first regional title in 20 years. As district champions, The First Academy will also serve as the host team in the opening round of the state playoffs. It is the program’s tenth overall district crown.